Chevrolet has unveiled a range of deals ahead of the introduction of the ‘63’ registration. Savings of up to £1585 are available, along with zero per cent APR finance on Aveo, Cruze, Orlando and Spark models. As part of Chevrolet's summer deal, customers can buy a new Spark from £99 a month (with a £1805 deposit or part exchange), which includeds savings of up to £950 and zero per cent APR representative over five years. A saving of £1585 is available across the Cruze range, with the 1.6 LS hatchback available from £179 a month with a £2,455 deposit. The station wagon can be driven away from £199 a month, with a £2755 deposit. Zero per cent APR is also available on the Aveo, with savings of up to £790 against the list price if customers submit a deposit or part exchange of £1855. 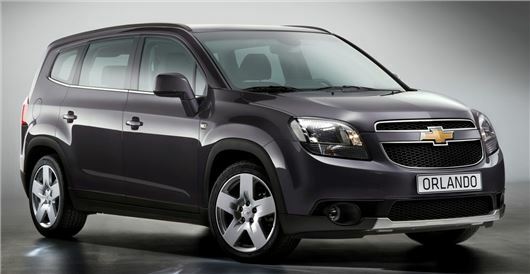 Savings of £925 can also be made on the Chevrolet Orlando, with the 1.8 LS model available from £230 a month with a £3048 deposit over five years, again with zero per cent APR representative. All offers are valid until 30 September at participating Chevrolet dealers.